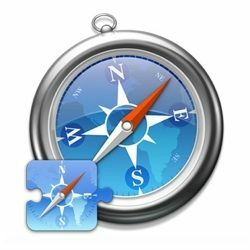 <firstimage=”//static.makeuseof.com/wp-content/uploads/2010/08/00-Safari-plus-Extensions.jpg”> Along with the Safari 5.0.1 update, Apple officially opened its Safari Extensions Gallery. Compared to Firefox’s or Chrome’s list, there aren’t that many extensions listed there yet, as everything still fits into one – rather long – page, but I think it’s a good start. While the list might be short, there are already many good and useful extensions that you can install. All you need to do is just point your browser to the gallery and install them. But first things first. Before you can use any of these extensions, you should upgrade your Safari to version 5, and enable extensions from within the “Preferences – Extensions” pane. The pane is also the place for you to enable or disable individual extensions. Select one of the extensions and check/uncheck the “Enable name_of_extension” box. 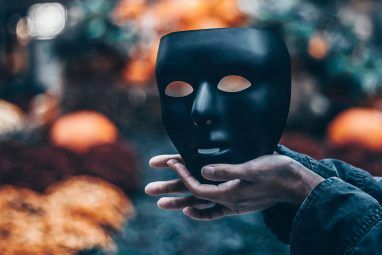 If you are one of the early adopters 5 Reasons Why Being An Early Adopter Is A Bad Idea 5 Reasons Why Being An Early Adopter Is A Bad Idea Are you the type of person who pre-orders the newest tech gadgets as soon as they’re available? Then you’re an early adopter. Is there a downside? Let's find out. Read More and you haven’t got the chance to peek at your Extensions library for a while, you might find several updates inside. Click “Install All Updates” button to get all the necessary updates, and check the “Install Updates Automatically” box if you don’t want to be bothered with manual updates in the future. Finally, clicking the “Get Extensions” button will bring you to the official Safari Extensions Page. After browsing through the list, I decided to list some extensions which I personally think falls into the “fun” category. Despite some recent issues with its policy, Facebook has proven time and again that interacting with friends and family will never be boring. 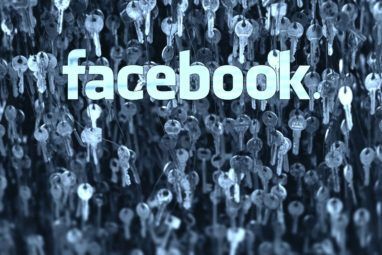 If Facebook is one of your ideas of having fun, you might want to try several extensions dedicated to Facebook, such as: Better Facebook, Facebook Cleaner, and Facebook Photo Zoom. But if tweeting is your thing, you’ll be glad to know that there are many tweeter-related extensions for Safari, namely: Echofon It, Nambu, TweetBar, [NO LONGER WORKS] Tweetbeat Firsthand, Ostrich, and the official Tweeter for Safari. Aside from the official Tweeter extension, my personal favorite is Tweetbeat Firsthand as it will show you the recent tweets from people and groups mentioned on the web page you’re viewing. This extension will help you to know the email sender better. In the sidebar, you will be able to see more information about the sender like photo, occupation and his/her location on the map.The extension is working automatically with GMail occupying the usual ads spot. It’s also available for Firefox and Chrome. Photography is an art that I’ve yet to master. That’s why beautiful photos always amaze me as I know they are not always easy to acquire. Flickr is a place where you can learn so much about taking good photos. But the area is not limited to photographers and the wannabes. Anybody can stroll around the site and enjoy the scenery. The FlickrPlus will show you more than meets the eye. Care for a little game to spend your spare time? Why not try some word play? You can compete against the computer or versus other players. The number of online players will be shown automatically on the extension button next to the URL bar. Just press the button anytime you want to play. If you are the kind of person who loves to know more about foreign languages, Franker is the perfect tool for you. This extension is inspired by Ilya Frank’s method of language learning and works a little differently from the usual Google Translate. Instead of translating the whole page, Franker allows you to select only a phrase or sentence and places the translation right after the selected item. Just right click on the selected text and choose “Frankate Selection“. I tried the tool on Amazon Japan’s site, and here’s the result. As an additional note at the end, I just want to add that the process of installing these extensions is far easier if you do it from the Safari Extensions Gallery page as everything will be done automatically. And as I’ve mentioned above, the list is based on my personal subjective opinion. Since the term “fun” is different from one person to another; feel free to browse around, pick your own fun extensions, and share them with us using the comments below. Explore more about: Facebook, Safari Browser, Twitter. You can see more integrations at the bottom of http://rapportive.com. Thanks again! Thanks for the FlickrPlus mention, guys. Any chance I could ask you to link to the product wiki page (which I use as a project homepage)--http://codaset.com/robwilkerso... than my personal domain? Folks can't download directly from the personal site. Thanks again for the pub. The link has been changed Rob. Thanks for the FlickrPlus mention, guys. Any chance I could ask you to link to the product wiki page (which I use as a project homepage)--http://codaset.com/robwilkerson/flickrplus/wiki/home--rather than my personal domain? Folks can't download directly from the personal site.